In this chapter I will explain how you can use the trade copying technology to enable hedging on U.S. based accounts. 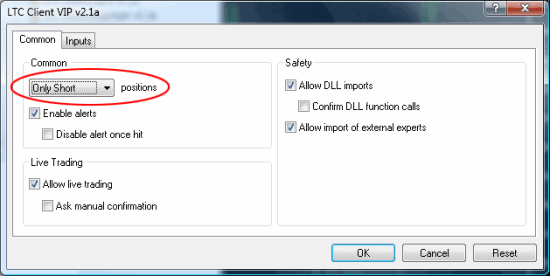 You may already know that this trading feature is not available for all Forex traders. To be precise, hedge trading is not allowed at NFA regulated Forex brokers, mainly U.S. based brokers. For traders outside the U.S. it is simple to implement hedge trading either manually or automatically by using a tool like Hedge EA Advanced. Let me show you how you can overcome this limitation with the Local Trade Copier on U.S. accounts. 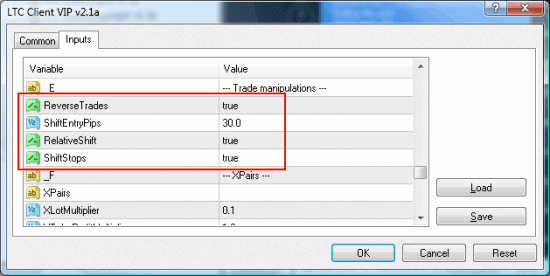 The first thing you will need are two MT4 accounts to act as slaves, these accounts will receive the trades. Let me explain how this would work. The problem with hedging on U.S. accounts is that you can’t have both buy and sell trades open at the same time on the same account. If you carefully read what I just wrote you probably already have an idea where I am going with this. Allow me to say it again. On U.S. accounts, you can’t have both buy and sell trades open at the same time in the same account. This is why you need two MT4 accounts. Both of them will act as slave accounts. The first slave account will only accept buy trades and the second slave will only accept sells. I will not teach you hedge trading strategies in this guide because I am not an expert in hedging. I assume you already understand how hedging is performed and you know what you need to do. The main goal of the hedge trading strategies is to cover the losses of the initial trade if price turns against the initial position. For example, if we have an initial buy trade, the hedge trade will be a sell and usually 10-50 pips below the entry price for the buy trade. A true hedge master will know how to choose the best distance for placing hedge trades. As I already said I don’t know how to teach you hedging techniques, but I can show you how you can implement the core elements of hedge trading on U.S. based accounts. You will need at least three MT4 platforms installed, either on your computer or your VPS. If you don’t know how to do this please refer back to chapter 3. The next step is to install the Local Trade Copier by following the steps outlined in chapter 4. At least one of these platforms should be a master account and at least two of them should be slave accounts. By now I’ll assume that you have figured out how to get a master account and attach the Server EA to a chart. There is nothing difficult here, it’s just a regular setup and configuration and no special steps are needed. Let’s proceed with the slave accounts. When you attach the Client EA to the chart of the first slave MT4 account, an EA properties window will appear. Here you must choose “Long Only” in the Common tab. You can leave everything else unchanged in the Inputs settings, with the exception that you will need to enter your LTC license key. On the second slave MT4 account we will change a few of the settings. The first thing we need to do here is to switch to “Short Only” in the Common tab as we only want short trades to be copied to this account. This is the opposite of what we set for the first Client EA. The next step is to set the second Client EA to reverse the trades received from the master account. To do this set the ReverseTrades option to “true”. The third and final step is to set the Client EA to shift the entry price of the reversed trade by a certain number of pips. For this please use ShiftEntryPips=30, RelativeShift=true and ShiftStops=true. I would recommend that you start testing with something not too close to the current market price, like for example 30 pips. This will place a sell stop pending order 30 pips below the initial buy trade. This order will get triggered if price goes down and moves against the initial buy trade. Once the hedge pending order is triggered you are sort of covered for your loss from the initial buy trade. An important thing you need to keep note of here is that by using this two-accounts hedging technique you may get a margin call on one of your slave accounts. This happens because the hedged trades are not covering the loss on the same account. For example, let’s assume that you have an open trade and a -100 pips floating loss on the first account and you have a +70 floating profit on the second account. In aggregate, you only have a -30 pips floating loss in total. Now if the trade moves another 100 pips down you will have a -200 pips floating loss on the first account and a +170 floating pips profit on the second account. As you can see the aggregate is still -30 pips no matter where price goes. The risk here is that you have your losses and profits split between two accounts. The account that accumulates the loss may eventually get a margin call if you don’t choose proper lot sizes. This would never happen on a regular account where hedging is allowed and you can have both buy and sell trades on the same account. Under such an account, all the losing and profit trades would be merged into a total floating profit/loss, which would be -30 pips in our case. The next step is to surf the web for hedge trading strategies and implement them in your trading experiments. You’ll be surprised how many new things you’ll discover about Forex trading, things that you probably didn’t know anything about before. And if you are a professional hedger who is negatively impacted by NFA’s trading limitations, give the Local Trade Copier a try. US broker FXDD allows hedging for US residents, but call the act of hedging something else and manage this in their back office so traders in the US can hedge with them. Also the non-US broker FXChoice accepts US residents and allows hedging. They do not require the signing of a personal guarantee if opening a corporate trading account with them. Also, the Finnish broker, FinFx, allows US residents and further allows for hedging. The majority of US currency traders strongly disagreed with this law and many have flocked to brokers like FXChoice and FinFx because they accept US citizens, allow hedging and also allow leverage greater than 50:1 (this was another part of the Dodd-Frank law enacted in the US in 2010 that limits US brokers to offering 50:1 to US citizens). This law had some devastating effects on many US brokers because so many US traders decided to move their accounts overseas to once again enjoy these trading opportunities. Once successful US broker GFT even closed its operations to US citizens and sold to larger broker Forex.com. One of my friends used to be a trader with GFT but with the shrinking US leverage of 50:1 he decided to close his account and move it overseas. With the goal of offering ‘hedging-like solutions’ while still keeping to the CFTC no-hedging rule, the brokers have established a new practice of offsetting trades with the ‘other-party positions’ as they receive the orders. When these opposite orders are placed on the MT 4 platform, the brokers allow for this hedging feature. The ability to hedge is now available with this process of ‘netting’. For example, if you were to both place a buy and sell trade through Metatrader4, you would be able to see your positions appear in the platform as a hedge. However, the broker has done something a little sneaky and sent one of the trades to a counter party so that technically you are not holding the trade yourself and you are, at the same time, still able to hedge your positions. Thus, your overall position remains the same, and, in the end, it shows just like it does for you on the MT4 platform. But in the background there is more happening to allow this hedging/netting to occur. A number of US brokers are looking into ways to offer this process of netting to clients. With Dodd-Frank, FIFO/Hedging being outlawed you can imagine that US retail trader volume would and has decreased. FXDD, ILQ, ATC Broker, and now PFG Best, are all offering netting by default. This is a big breakthrough for retail forex traders in the US. Now I know you are probably still facing some trade copying roadblocks. Let me help you overcome the common ones.